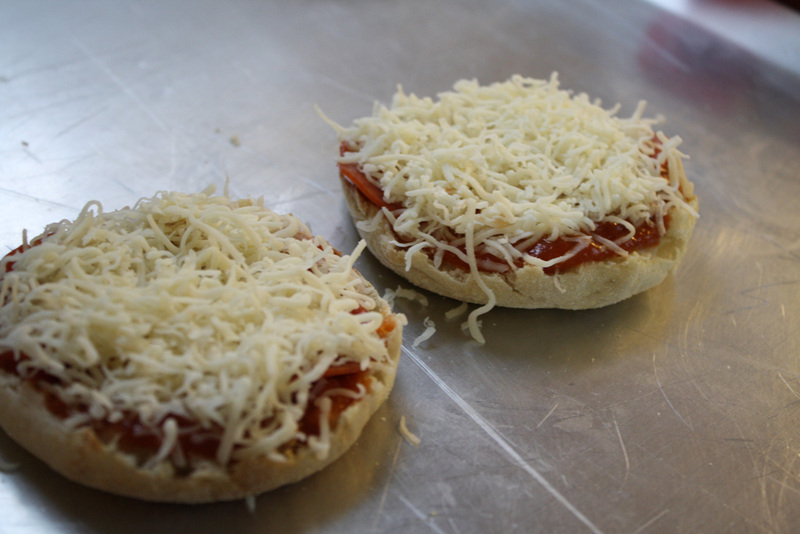 For our second Meal in 15 Minutes or Less today, we are going to make pizzas using English muffins as the crust. 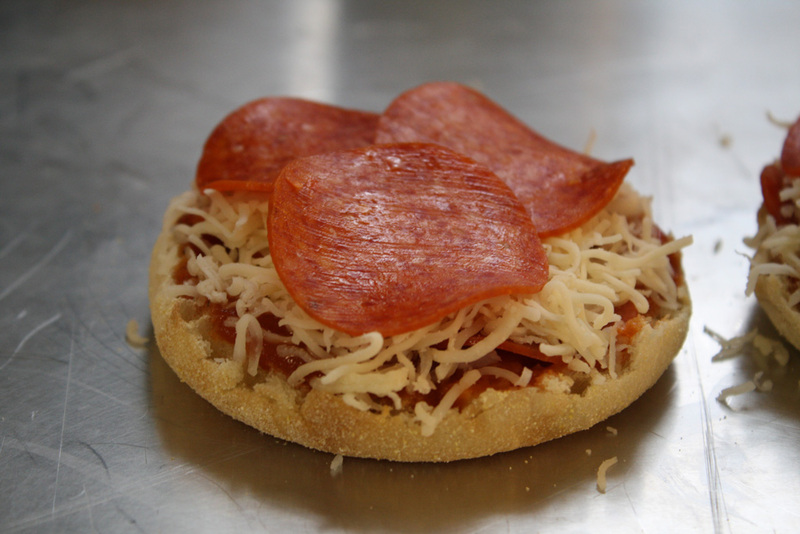 These little pizzas are incredibly simple to make and easy to bring to work! From fridge to plate, they take about 13 minutes. Then assemble all ingredients on the counter and get out a medium-sized baking sheet. Start by lightly toasting the English muffin. While that toasts, open the sauce, cheese, and pepperoni so they are ready to go. Place the English muffin on the baking sheet. 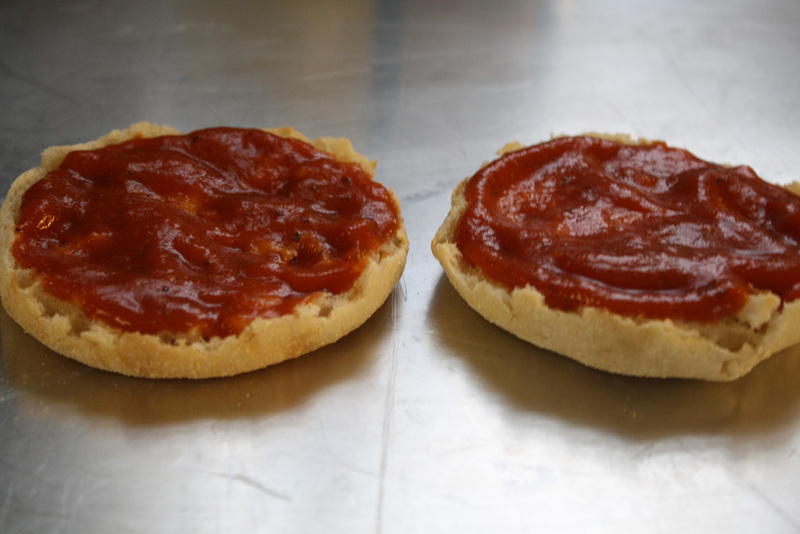 Spoon pizza sauce on each English muffin and spread it evenly. Add 2 slices of pepperoni to each half. Sprinkle mozzarella cheese and top with more pepperoni. Bake for 5-7 minutes or until cheese is melted. 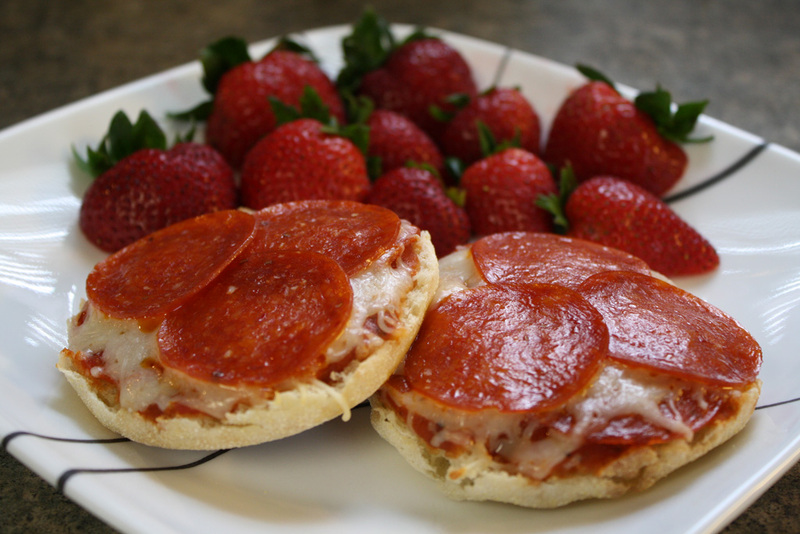 These mini pizzas can be eaten right away or made beforehand and reheated in a microwave. You can also experiment with your toppings. For a Hawaiian mini-pizza, replace the pepperoni with Canadian bacon and top it all off with canned pineapple. Serve with a side of fruit or veggies and you are set! Enjoy your 15-minute meal!